Insights to help you grow your company. 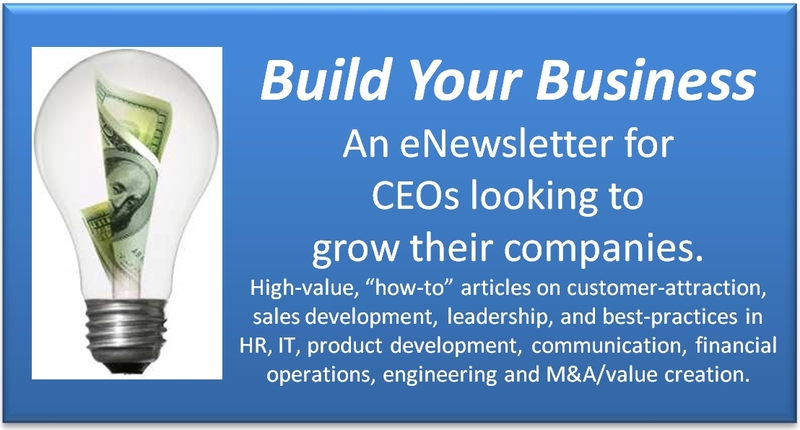 "How to" articles with practical, actionable advice for business owners, CEOs & GMs, containing insights from leading consultants in areas crucial to your business. This was a 3-month test - and is no longer being published. You can find links to all articles (over 30!) by scrolling to the bottom of this web page. Although the eNews is no longer being published, if you would like to receive periodic articles on topics that are important to business owners, please send an email to Mark by going to the contact page. Articles focus on growing business. If you are looking for new ways to build your company, articles will explore ways to attract more customers, build revenue, how to assess areas holding back growth, how to cost-effectively evaluate new concepts for viability and how to use strategic planning to best advantage. Articles focus on improving financial performance. They will help CEO readers perform financial check-ups, enhance cash-flow, improve financial operations efficiencies as well as implement financial strategies that build corporate value. Articles focus on leadership. They provide insights into leadership approaches that help gain the most from managers and employees. Articles focus on maximizing IT performance. In any business today, IT is pervasive, essential, expensive and hard to do right. Articles will help readers with measuring, assessing, actively managing and improving the business value of their IT investments. Articles focus on how to communicate effectively. Hard work and strategy won't mean much unless you can communicate in a clear, concise, compelling, consistent manner to your team, your staff, your board, your stakeholders and especially your clients. You'll find ways to not only avoid common pitfalls but also build an effective communications culture for your company. Articles focus on maximizing sales and channel productivity. Maximized sales productivity, regardless of a companys growth stage or challenge by outside forces warrants the same CEO strategic scrutiny as all other business functions. These articles provide C- level management with the rationale, methodology and measurement tools to effectively include sales and channel strategy as an integral part of corporate strategy. Articles focus on various aspects of the business where HR (or the absence of HR), can influence corporate performance. These articles provide insights to help you navigate the sometimes stormy legal waters of running a business and help you leverage Human Resources to your greatest advantage. Articles focus on developing high-quality products. What does it take to stay on schedule and still produce top-notch products? These articles turn a critical eye inward to expose the stumbling blocks that commonly occur in product development and show ways to work around them to yield efficient and timely development of high quality products. Articles focus on how to build the value of privately held companies. They address improving your company's value - through a strategic merger, acquisition, strategic alliance / partnership, effective exit planning and sharing best practices from across different industries - as they relate to improving valuation. through effective project management, building a solid understanding of requirements (voice of the customer - VOC, voice of the business -VOB), and creating clarity around the business case for the product/project. Articles focus on the psychological aspects of leadership, corporate culture and governance. Top executives who are psychologically in tune - resilient, agile, aware - have an unmatchable competitive advantage. These articles deliver deep practical insights into work matters, whose solutions can't be found in any business plans, delineate profitable strategies to harness the complex DNA underpinning every decision and action. Articles focus on helping U.S. based companies establish or expand their international business. They address how to evaluate an export market, assess how ready a company is to enter that market, formulating international strategies, navigating the challenging export business terrain through effective operational execution and looking into the concept of outsourcing for export success. Articles focus on high-level aspects of operations strategy and supply chain management. Rick's articles discuss ways to take a comprehensive view of the entire organization, quickly identify areas of potential improvement, and implement breakthrough solutions that boost gross profit margins. Articles focus on leading from a spiritual perspective.You are the heart of your business. Your state of being sends a message to the rest of your organization on what really matters. These articles will help you learn how to access and use your highest values and guidance in making wise decisions, taking excellent actions, and experiencing fulfillment. Mark Paul has over 20 years of executive level leadership experience. He has led start-ups through public companies in his 21 years in interim executive and consulting work. Before starting his consulting practice he spent 10 years at Northrop Corporation (Global 500 company), where - as an intrapreuner - he built a 250-person, multi-million dollar business unit in two years. He has a degree in Physics, a patent and published several editions of "The Entrepreneur's Survival Guide" and recently published his 2nd book "How to Attract Significantly More Customers". Patrick M. Wheeler is the Managing Director at Management Contract Services and is a professional executive with an MBA and 25 years of management and consulting experience. He has worked with a large variety of companies, including service industry, wholesale industry and technology companies with sales of $1M-$15M. He has experience as a CEO, COO, GM and contracted CFO. 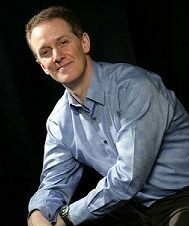 Tom Cox is a consultant, author and speaker. He has worked in retail to wholesale to manufacturing industries - to government to business services. Tom serves on the Board of Governors for the City Club of Portland. Tom authored a book, several leadership articles, and co-authored the chapter on Metrics and Performance Improvement for a textbook on Medical Trauma Care. A graduate of the University of Chicago, Tom earned his four-year degree in psychology in three years, with honors. Tom was a 2002 Libertarian candidate for Governor of Oregon. Manoj Garg is a founder, Managing Partner and CIO of file Information Executives, LLC (VIE). He brings over 25 years of senior executive leadership skills and technology management experience with domestic and international operations to clients. Past roles have included CIO at WebEx, Director of IT at Portland State University and 10 years Senior IT leadership at Xerox Corporation. He holds an MBA in Finance from University of Rochester and an MS in Computer Science from University of Pittsburgh. He enjoys angel investing, assisting non-profits, teaching, playing music, and spending time with his wife and three children. 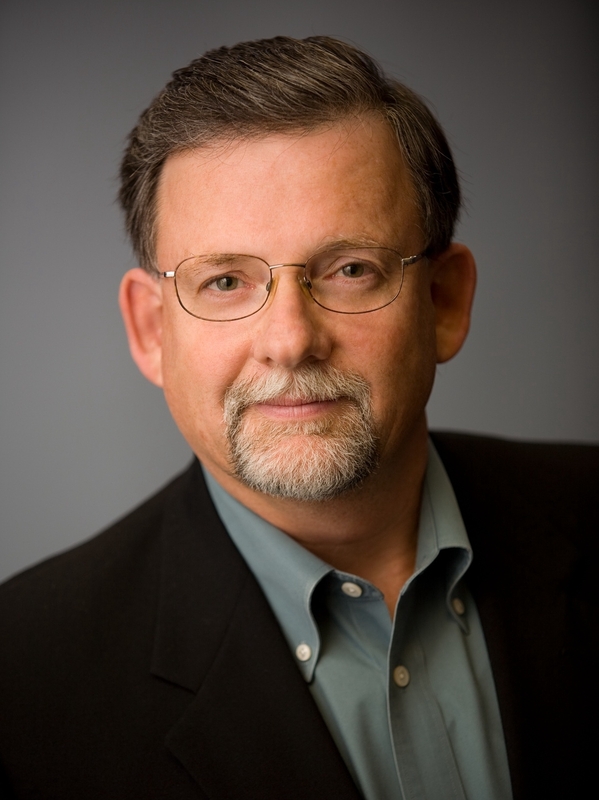 Dave Yewman is a communications expert who coaches senior executives on how to present more effectively. Over the past decade he's advised executives at numerous companies including, Adidas, CBS, Clif Bar, HP, Microsoft and T-Mobile on how to master non verbal communications when speaking. He is the author of "On Getting to the Point" and a former senior pubic relations agency executive. Yewman was the general manager of Weber Shandwick's Portland office as it grew from three to 25 people. Presentation coaching, storytelling workshops, media training. Bill has thirty-two years experience in VP/executive global sales and marketing roles in high technology where responsibilities included developing and enabling product definition, product launch & distribution strategies with a primary focus on aggressive revenue and market share growth. He has participated in eight acquisitions/mergers, an LBO, and as a principal in two successful early stage IPOs. Channel strategies have included direct, single and multi tiered distribution, manufacturers reps, dealers, VARS (Value-added Reseller), integrators and strategic partnerships in both end user and OEM sectors. Iris Sasaki has been an active HR professional in the Oregon/Washington/Idaho area for over 20 years and possesses extensive knowledge in all facets of Human Resources, including executive coaching. After a successful HR career in the high tech field, she launched her own consulting business and has been serving PNW employers for 10 years. Her work has been recognized by the business community and governmental agencies for its excellence; the Equal Employment Opportunity Commission (EEOC) included her training modules in their reference library. 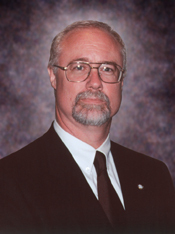 Mike has more than thirty years experience in defining and executing mechanical and electro-mechanical product and systems architecture, product design, detailed component design, thermal analysis, and simulations. He has over 6 years in CTO/co-founder roles in two startup companies which included patent work, process simulation, equipment planning and acquisition, product concept development, and Activity Based Costing in operations. He has successfully presented funding strategies to seed, angel, and VC groups to support technical solutions. Brent Freeman brings 30 years of Senior Management experience in Financial Services. Prior to joining PGI, Mr. Freeman served as Chief Operating Office for NestWorth Inc. Mr. Freeman has held Senior Management level positions at Bank of America, ITT, GMAC and GE Capital. Having served on acquisition teams for B of A and GMAC and having bought, built and sold several business, Mr. Freeman brings his experience and expertise to middle market business interests. He holds a BS in Business from Arizona State University, Walter P. Carey School of Business. Gary is a consultant, author, and trainer with 20+ years experience applying project management to product/process development efforts, primarily in the high-tech and life sciences fields. Some clients include Becton Dickinson, Abbott, Baxter Healthcare, and Illumina. He is the author of "Agile Project Management," which focuses on improving PM effectiveness in fast-paced and dynamic environments. 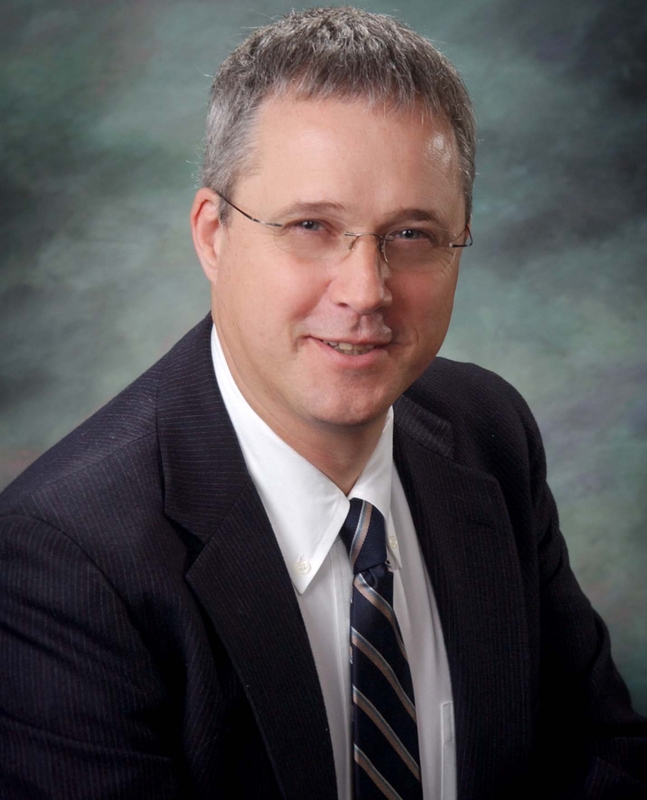 Gary holds a BSME from Rensselaer Polytechnic Institute, an MBA in product marketing from Bentley College, and PMP certification from the Project Management Institute. 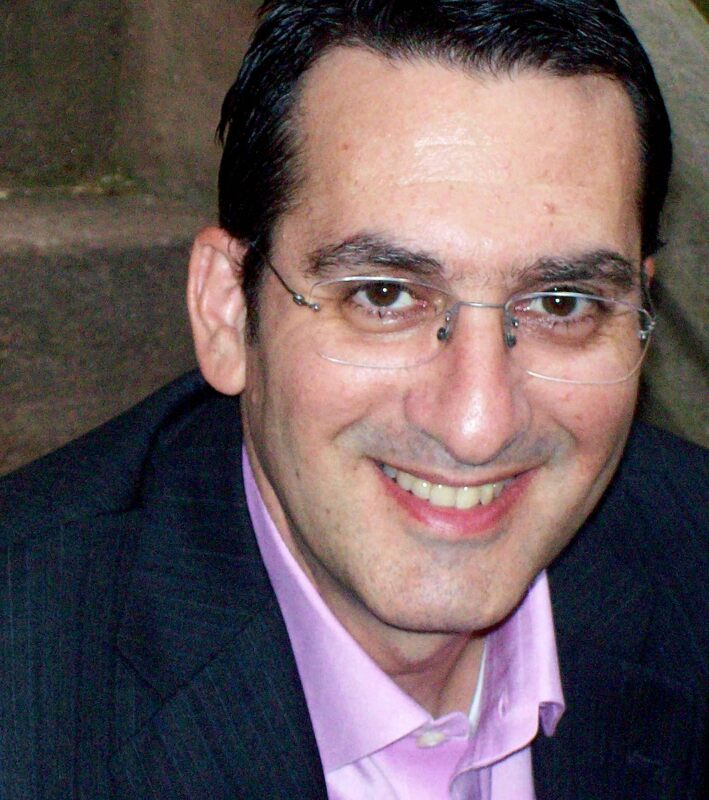 Alexander Stein, Ph.D. is a business psychoanalyst, speaker, author and thought-leader, and is a Principal in The Boswell Group LLC, a consulting firm focusing on the psychology of business. He advises CEOs and corporate directors on the people side of their business. He is a former FORTUNE columnist and CBS business news blogger, and an engaging public speaker adept at rendering complicated ideas clearly and compellingly. Dr. Steins approach pivots on knowing that the best business decisions and solutions are built on sound understanding, not just expedient action. CEO/Board Advisor; Executive/Senior Team Coaching; Leadership Development; Organizational Change & Business Development Strategizing; High-Stakes Hiring/Partnering Assessments. 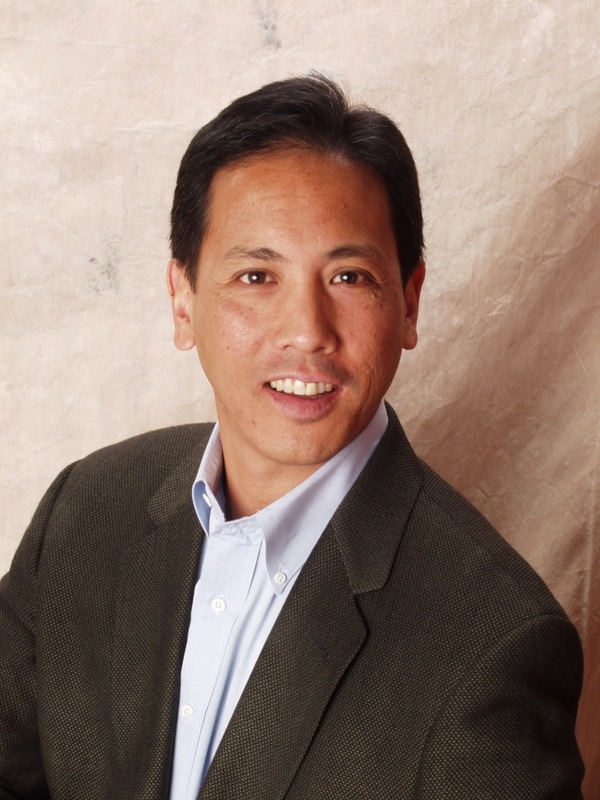 Richard is an International business development expert, former CEO and serial entrepreneur. He has taken U.S. based companies from sectors including consumer electronics, software, manufacturing and technology into the EU, Middle East, Asia and Australasia. Richard possesses the cultural intelligence that comes from having lived in 5 Counties, parents from 2 Countries (Italy & England) and working throughout the EMEA and APAC regions. Richard has started 3 companies of his own  two in the US, one in the UK and is currently active on the Portland early-stage company scene. Rick Pay has been dubbed by his clients as the "Sherlock Holmes of Operations and Supply Chain Management." He appears frequently as a speaker and his articles have recently been published by Industry Week and the Institute for Supply Management. 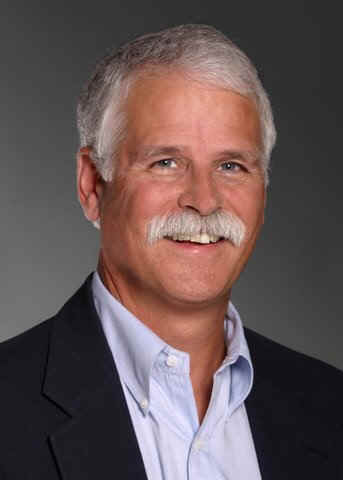 As principal of The R. PAY COMPANY, LLC, Rick draws on 30 years of experience to produce breakthrough results in operations, supply chain strategy, materials and inventory management. He holds a BS in business administration from Colorado State University and a MBA from the University of Montana. Dan Duggan is an inspirational leader and coach with over 20-years experience as a successful business executive. He possesses the invaluable ability to quickly assess where an organization s creative energy flows and where it is blocked. Dans insight and sincerity create a safe environment in which people discover their innate courage and they begin to accomplish what they never thought possible. Through deep caring, humor and strong coaching, he helps leaders to open to the joy in their work and invite forth the creative energy already existing in their organizations. What Does A Lost Customer Cost You? Are You Speaking Too Long? Youve decided to double sales by "Going international." Now what? Value: Insights to help you grow your company.